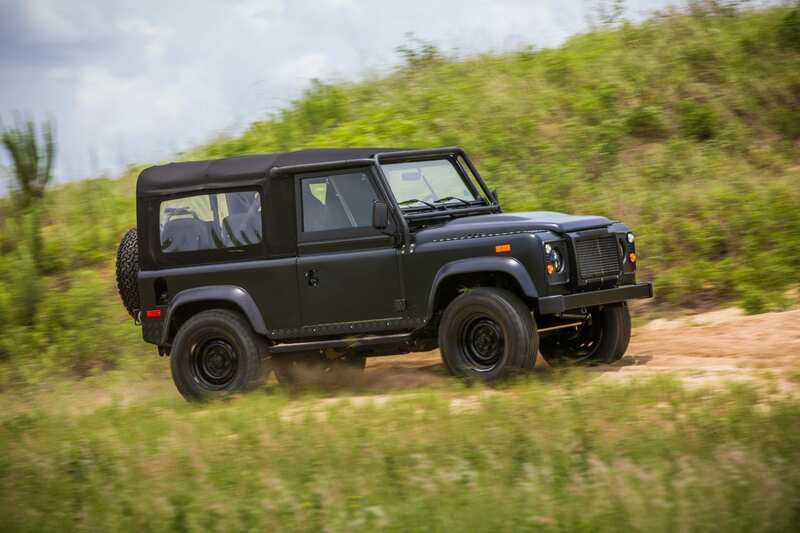 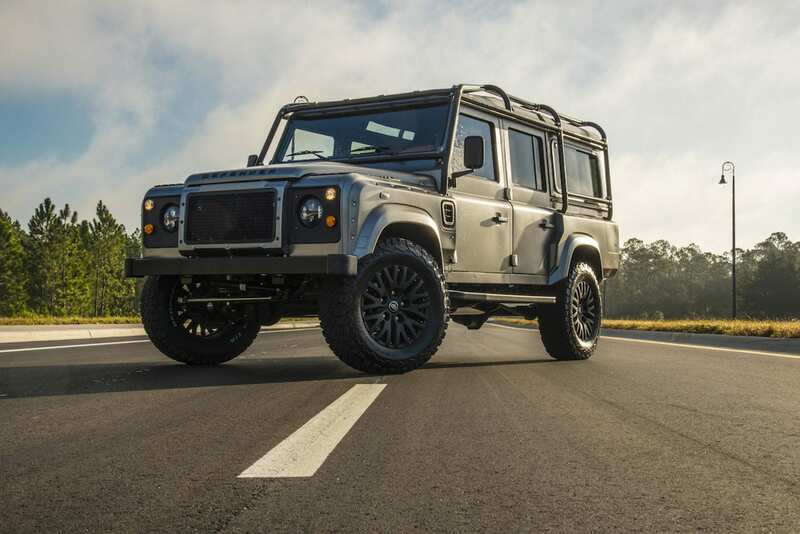 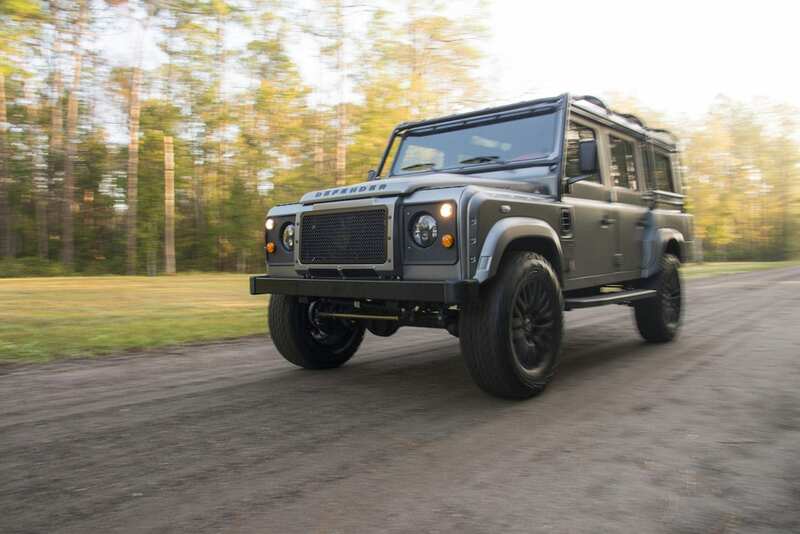 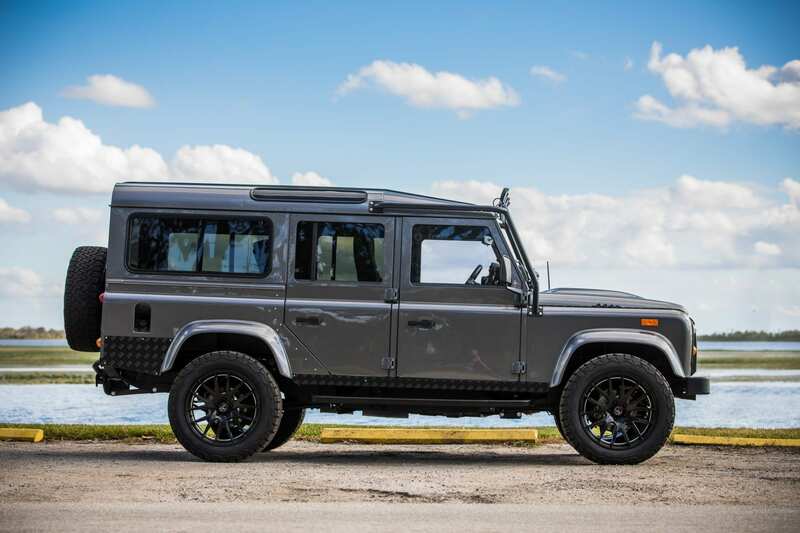 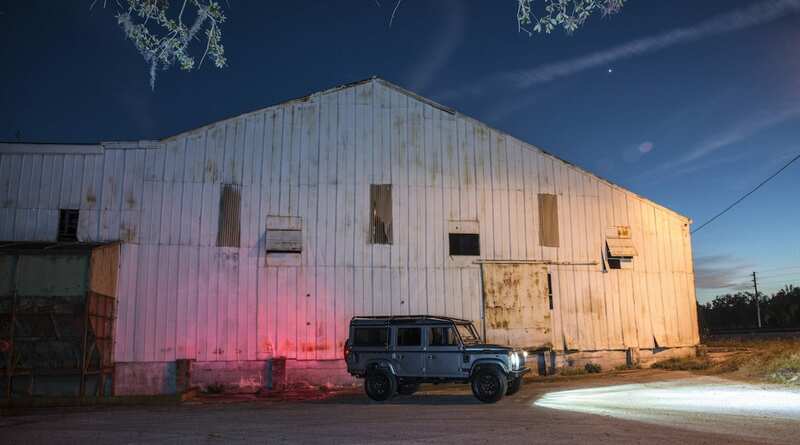 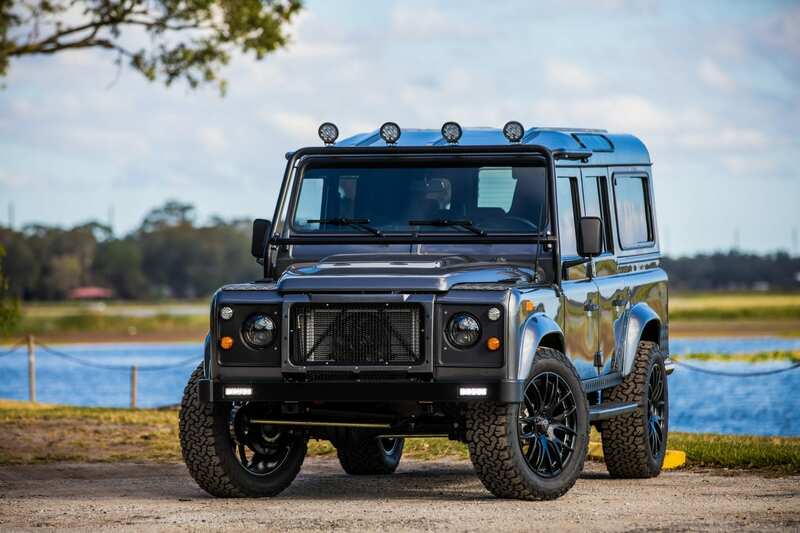 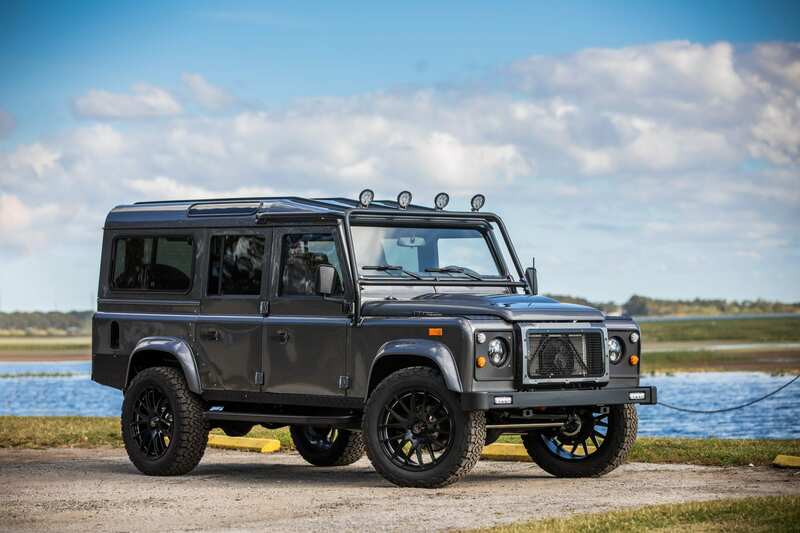 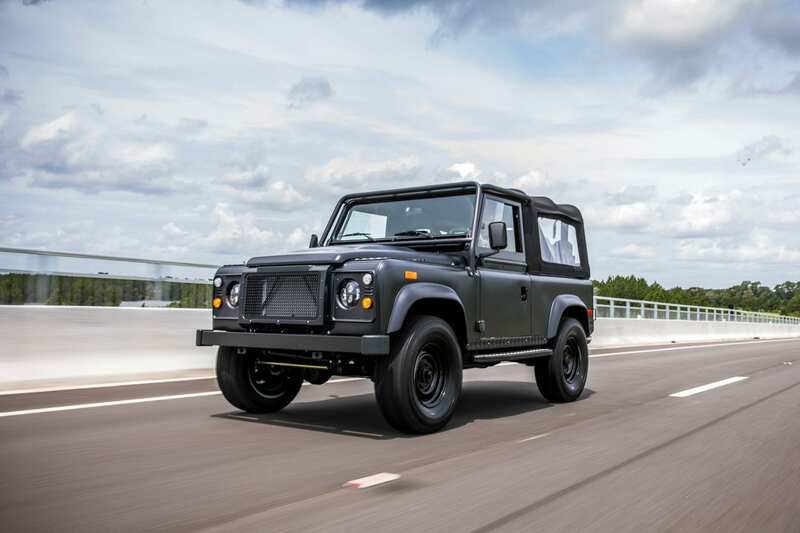 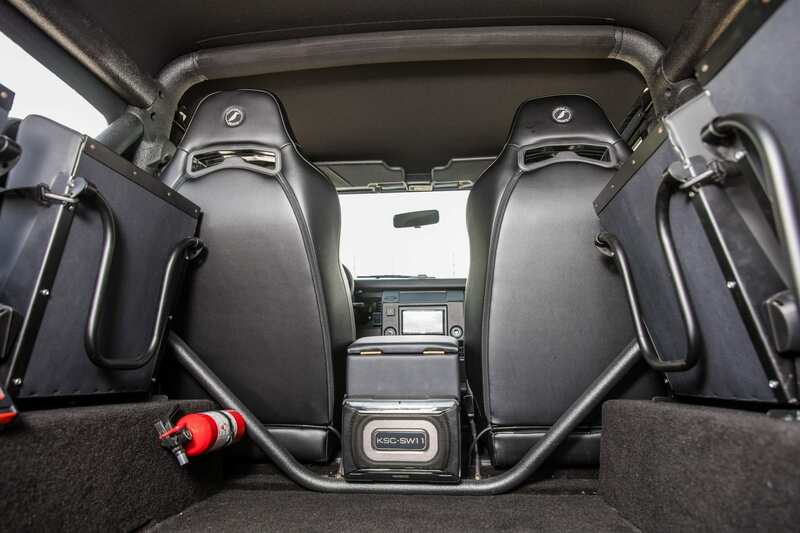 This custom Defender 110 is not a vehicle for the faint of heart. 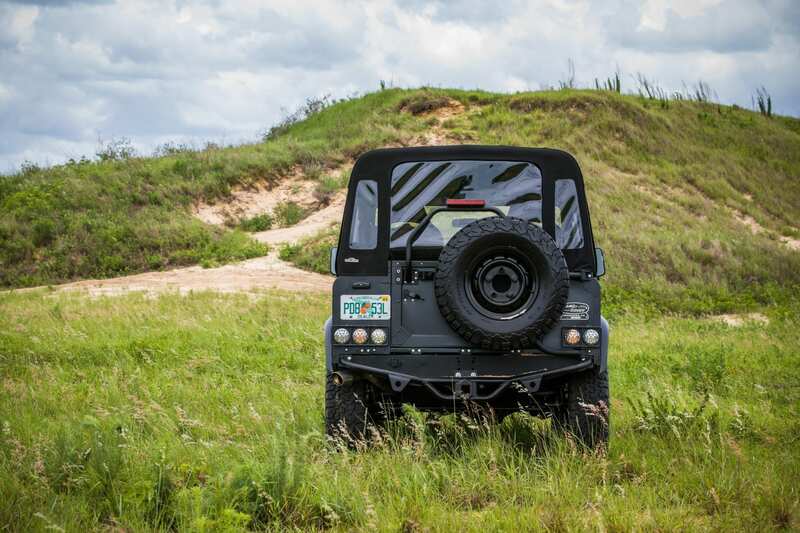 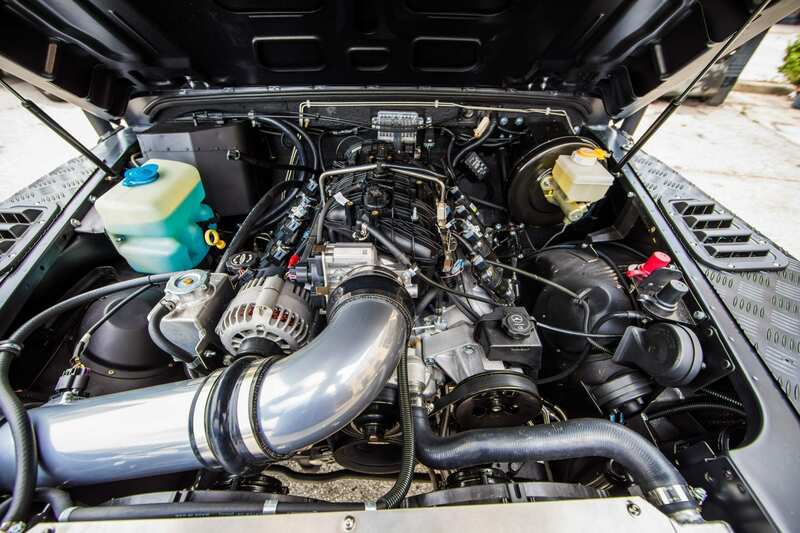 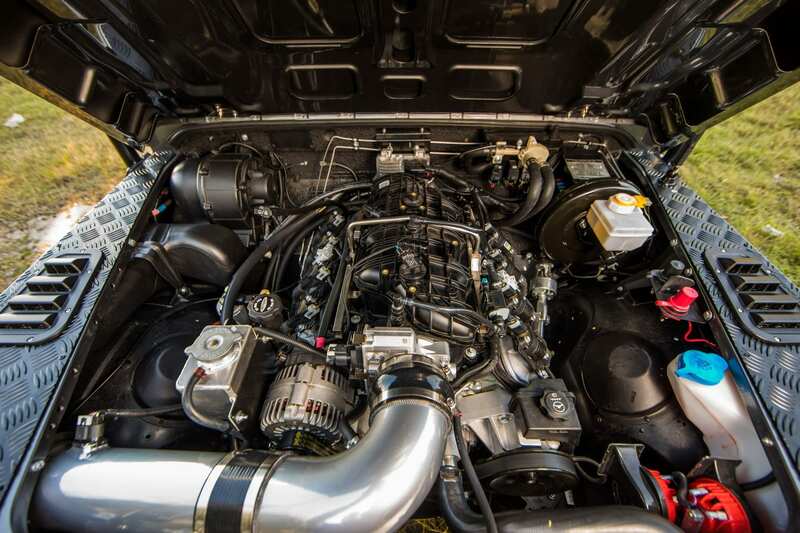 With a 5.3L LC9 V8 engine and six-speed automatic transmission, this powerhouse is ready for any terrain. 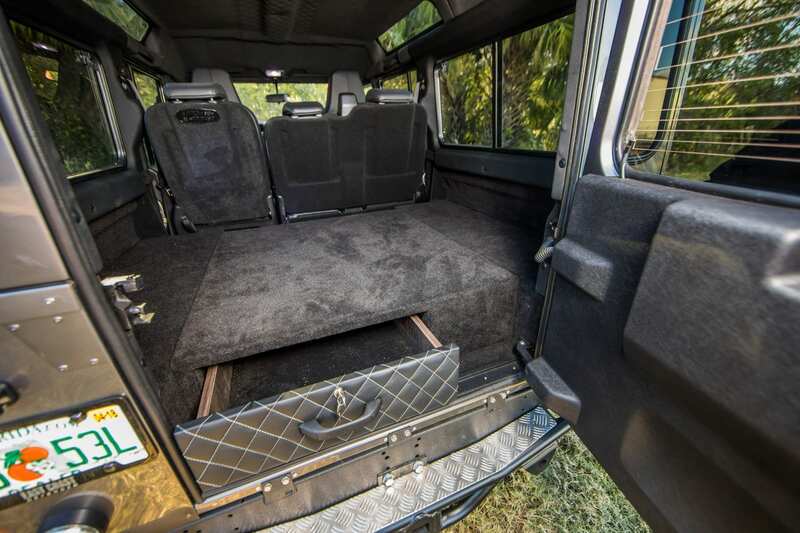 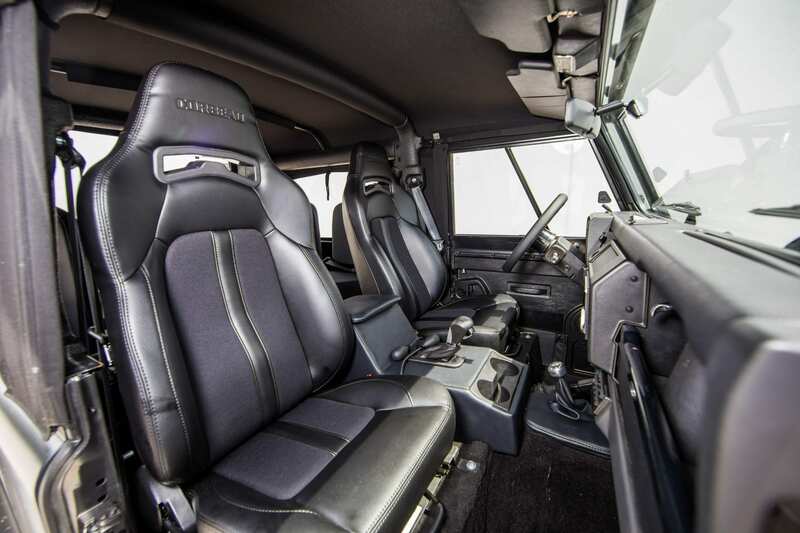 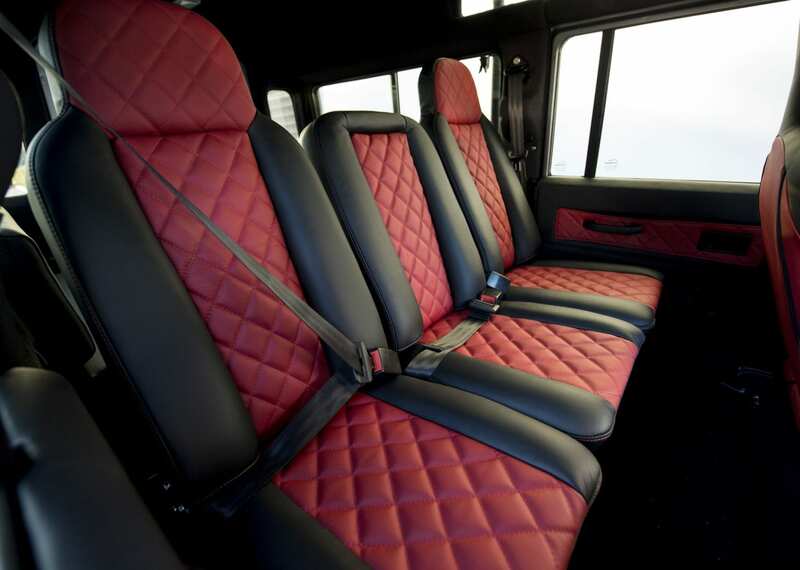 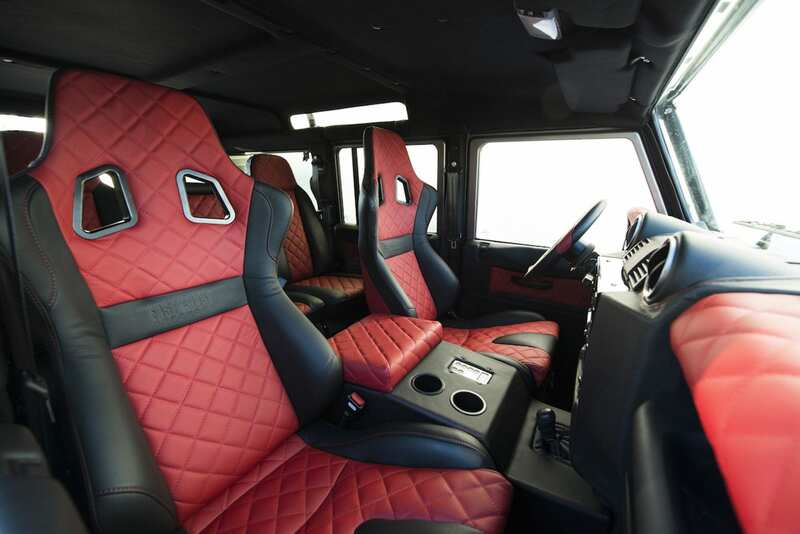 The interior is highlighted with charcoal and black leather and a diamond stitch pattern. 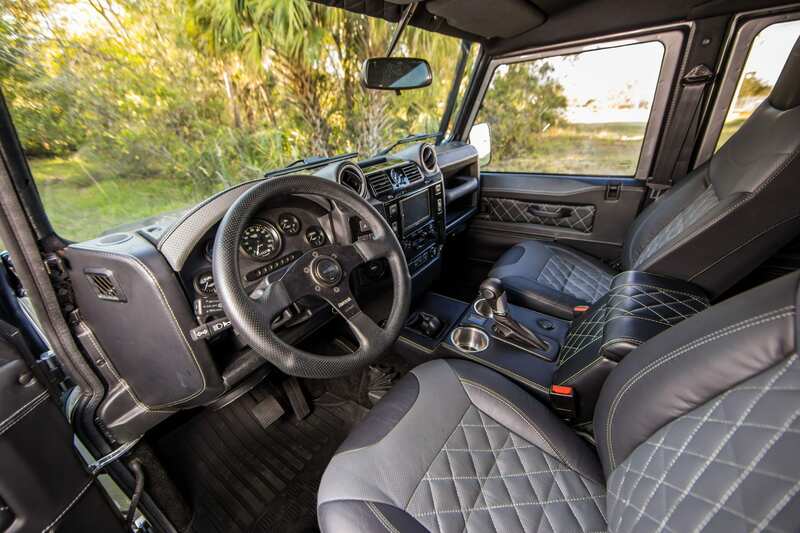 The Moal Bomber gauges add to the sleek interior.